If there’s one thing that over 20 years’ experience in the Further Education (FE) industry teaches you, it is that nothing ever appears to be simple in FE. So, if you have been trying to find out what you need to become an assessor, but you just can’t make heads or tails of what information is out there, no worries. We have put together a page just for you. Using research from literally thousands of enquiries and our extensive industry-knowledge, we have put together a comprehensive list of Frequently Asked Questions. 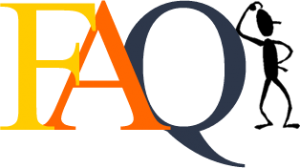 Whether you just want to know how to become an assessor or what all of these acronyms are that you have heard about, our FAQ should help. How Does the CAVA Compare to the A1, D32/33 or TAQA? Are the Old D32/33 & A1/A2 Qualifications Still Valid? What Level would I be Qualified to Assess up to? What are the Job Prospects like for Assessors? What Does the Assessor Course Involve? What’s the Difference Between the 4 Assessor Qualifications? Which Assessor Qualification is Suitable for my Industry? Generally speaking, in order to become an assessor, you need two things. These are; occupational competence and the appropriate assessor qualification. Occupational competence is basically the ‘knowing your stuff’ part. You need to have a good amount of experience working in the occupation for which you want to assess learners in. When it comes to applying for assessor jobs, you will be asked to show evidence of your occupational competence as well. So, you can use prior qualifications and experience of working in relevant job roles as evidence for this. Then there is the assessor qualification. If you don’t already hold an accredited assessor qualification, you will need to attain one. The most highly regarded assessor qualification is the Level 3 Certificate in Assessing Vocational Achievement (CAVA). This will not only qualify you to assess learners in any learning environment, but it will also qualify you to assess their occupational competence in the workplace. Upon completion of this course and providing you have sufficient occupational competence, you would be qualified to assess learners completing NVQs and Apprenticeships. As an NVQ Assessor, you would be responsible for supporting and guiding learners through their vocational qualifications. You would collect various different types of evidence from your learners to meet all of the learning outcomes from within their qualifications. Work closely with training staff and candidates’ line managers. For those of you that have already done a bit of digging into assessor training before arriving here, you may have seen all sorts of acronyms being thrown around! We have designed a page with exactly you in mind if that is the case. If you would like a really short and concise explanation; the CAVA is the ‘top dog’ assessor qualification (I suppose you could say). It forms part of the latest suite of assessor qualifications (often referred to as TAQA) which replaced the A1 Award back in 2010. But before the A1, there was the D32/33. The D units were the first accredited assessor qualifications. TAQA stands for Training, Assessment and Quality Assurance. It is the name for the current suite of Assessor and Internal Quality Assurance qualifications. So, ‘TAQA’ is not ‘a qualification’; it is instead, an umbrella term that covers a branch of qualifications. We are aware of how confusing this particular term can be for people. Simply because there are so many assessor job vacancies that just refer to ‘a TAQA’ or ‘the TAQA’. Which to all intents and purposes, makes it sound like it should be a qualification. However, as you now know, it isn’t. Are the old D32/D33 and A1/A2 qualifications still valid? In short, yes. HOWEVER, this is dependent on a couple of things. Firstly, you need to have been working in a suitable job role which has involved assessing and/or training. Secondly, you absolutely have to have an up to date Continuing Professional Development record. Ideally, part of your CPD should have involved you achieving the knowledge-based unit from the most up to date assessor qualifications (UPPA). If you have been out of assessing for a while, then we would certainly recommend completing the most suitable assessor course from the latest suite of assessor qualifications. Have a look at our Assessor Qualifications page to find out what the most suitable qualification will be for you. The answer to this question will depend on a few different factors. It will depend on your previous qualifications, your previous experience, the requirements set out by the awarding organisation for the qualifications you want to assess and your employer’s policies. That is why this is such a tricky question to answer. However, for wanting of a simple answer; you will be able to assess up to whatever level you can evidence occupational competence for. For example, if you have been working in a certain industry for over 7 years and you have got a Level 3 NVQ in that occupation, you will be able to assess up to level 3 in your area of expertise. However, it’s not always that straightforward. The linked page below should provide you with a more thorough understanding. After I have completed my assessor course, what level can I assess up to? Obviously, the demand for assessors varies based on which industry it is that you are looking at assessing in and where it is that you are based. Nevertheless, there tends to be a quite a good demand for assessors, particularly in the following industries: Health and Social Care, Childcare, Business services (Business Admin, Customer Service, Team Leading etc. ), Construction and Hair & Beauty. The thing is, where there are apprenticeships and vocational qualifications, there are assessors needed. So, it is just about making sure that you have the suitable qualifications and experience and know the right places to look for these jobs. As you will have seen if you have already visited our Assessor Qualifications page, there are in fact four current assessor qualifications. So, obviously it would depend on which qualification you choose when it comes to finding out what the course involves. Regardless of which qualification you choose you will either a cover a combination, or all of the units below. Essentially, Unit 1 is the theory based unit and units 2 and 3 involve assessing two candidates. Unit 2 requires you, as the trainee assessor, to assess 2 candidates in the workplace. Whereas, Unit 3 involves you assessing 2 candidates in a learning environment, like via a Virtual Learning Environment for example. You will find that the vast majority of assessor training providers will require you to have access to the learners to assess. However, there are a select few (including ourselves), that can provide you with access to the learners to assess. Which Assessor Qualification is for me? To explain the difference between the four assessor qualifications, it might help to know what each one is called and which units they cover. To make it as simple as possible, we have listed each qualification title, what the course is known as and a brief explanation of who each course is for. Summary: The CAVA would qualify you to carry out all types of assessments. It qualifies you to carry out vocationally related assessments in learning environments (like classrooms, simulations and online learning systems). But in addition to that, it also qualifies you to assess the competency of learners within their workplace. Ideal for: Anyone looking to become an NVQ Assessor as a career change. Summary: This qualification is suitable for those that only need to be able to assess learner’s in their work environment. Ideal for: Anyone who works for a company that wants to be able to do in-house assessments on employees completing vocational qualifications; reducing the requirement for external assessors. Summary: You can probably tell what’s coming here already… The AVRA only qualifies you to be able to assess in learning environments. Just to clarify, would not be able to carry out competency-based assessments in the workplace with this qualification. Ideal for: Anyone that wants to deliver classroom-based/online vocational qualifications (like knowledge-based BTEC courses). Summary: The UPPA is a single-unit knowledge-based qualification. It would only provide you with the theory behind the principles and practices of assessment. So, this assessor award on its own, would not qualify you to carry out any assessments. Ideal for: Anyone who has previously completed an assessor qualification. The UPPA provides previously-qualified assessors with the knowledge that they need to bring themselves up to speed with the current standard. All of them! Whether you are experienced in Plumbing, Social Care, Hairdressing, Hospitality or Dog Grooming for that matter, it’s the same qualification you need to become an assessor. This may come as a surprise, but the assessor qualifications are industry standard qualifications. You could think of it like this; you can get an NVQ level 3 in Management. That qualification would qualify you for a management role within your industry; whatever industry that may be. Likewise, the assessor qualification could be referred to as an NVQ Level 3 in Assessing. Because the assessment processes and practices are the same across all industries, it’s the same qualification you would need. However, we do appreciate that there is a lot of information to take in there. So, if you would prefer to have a chat with someone, either to clarify a few things or even get started, please get in touch. You can either call us on 01205 805 155, or request a call back, whichever you would prefer!